"Think about when you were a Cabinet Minister!" The Minister of Works, Transport and Infrastructure (M.W.T.I. ), Papali’i Niko Lee Hang, told the former Cabinet Minister, Faumuina Tiatia Liuga, to “think about what you did during the time you were a Cabinet Minister”. 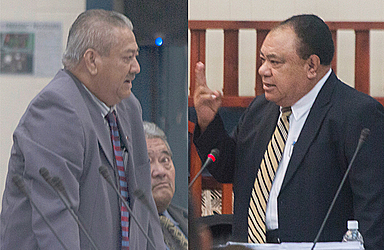 Papali’i issued the reminder to the former Finance Minister during a heated exchange between the two Members of Parliament when Parliament convened to discuss the Supplementary Budget. The Minister was speaking to address issues raised by Members of Parliament pertaining to his portfolio when Faumuina interjected. 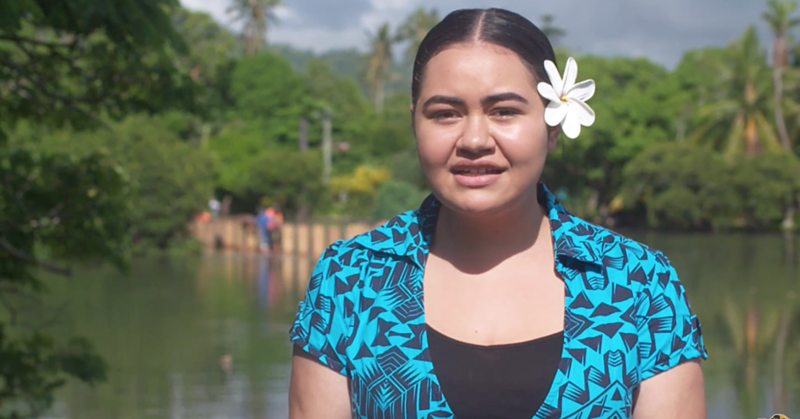 Faumuina, the Member of Parliament for Palauli le Falefa, claimed the government has accumulated close to $300million in unused funds due to delays and the absence of a Project Management Unit (P.M.U.). Two such projects include the Vaisigano Project and the West Coast Road expansion, which he said have been delayed for five years. “My concern and I think this is a concern shared by Cabinet Ministers is that if the projects are delayed, they become even more expensive,” Faumuina said. “Now the Prime Minister this morning has spoken and has asked to speed things up. 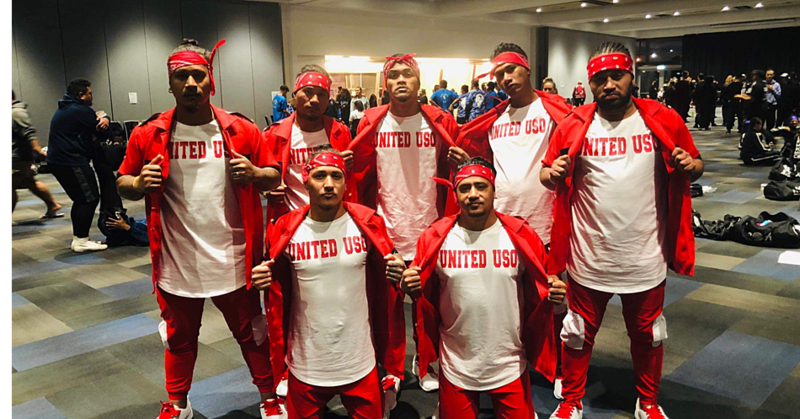 Faumuina said the government needs to use the “millions” that have already been provided by funders for such projects. Minister Papali’i argued that the delay is beyond their control. “There is a process and there are delays we can’t do anything about because of the conditions of funding. The first thing is the design,” he said. Faumuina, however, was not convinced. “I followed up with the Vice President of the World Bank if the money had been allocated for the road projects in 2013,” he responded. “He told me that they had already asked us to prepare the terms of reference for the person to design the project. That was the first delay." “When I asked M.W.T.I, L.T.A., they said that’s not their job, that is the job of the P.M.U. And when I asked them where the P.M.U. was, they said they didn’t know." “Now let me talk about the delay,” said the Minister. “This project has been delayed for five years but also I note he (Faumuina) was sitting here (as a Cabinet Minister) when the job was delayed." But Papali’i saw the humour. The Minister insisted that the delay is beyond their control and that there are conditions that must be satisfied before funds are released. He said the process takes time. He also confirmed that the projects in question have been put up for tender. Now glancing across to Faumuina, Papali’i referred to a Samoan saying where people who accuse others are compared to someone picking frangipanis (pua) from a tree and chucking them across to someone else recklessly. An irritated Faumuina returned to the floor. The response was met with laughter in the House. The night before, Faumuina had attacked the Minister about having the wrong priorities. The Member of Parliament of Parliament accused him of prioritizing the road to his Church building at Togafu’afu’a while ignoring the needs of the country – including roads in his constituency. “I will say what I said to Manu’alesagalala (former Minister of Works). Whether you fix the roads in my constituency or not, it will not eliminate my chances in the election. Faumuina claimed that some $61.49million funds allocated for roadwork in his area had to be returned to the funder. “Yet I keep hearing from Members of Parliament that there is no money,” he said. Papali’i said he did not know what Faumuina was talking about, to which the M.P. responded that it’s okay since the Minister had “other priorities” – like fixing the road to his church. “If you had not been working on the road to your Church then there wouldn’t be a problem. You have prioritised the road to your church and yet the project is being paid for by the government,” said Faumuina. He went on to say that there are two Members of Parliament in the same church, with the other being senior M.P. and Associate Minister, Fa’aso’otauloa Pati Taulapapa. 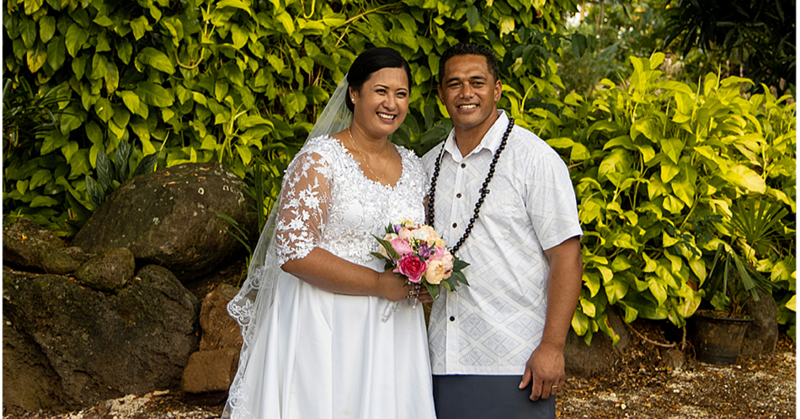 “It’s unbelievable how you two can attend church and be able to sit in church knowing that the road to your church is paid for by government money,” Faumuina said. Papali’i said the road is a public road in the middle of town that needed to be fixed and that the church is not his church, it belongs to God. Both Papali’i and Faumuina are senior Members of Parliament. At different times, they have held the same Ministerial portfolios. Faumuina had served as a Minister of Works, Transport and Infrastructure and most recently as Finance Minister. It was during his tenure as Finance Minister when he resigned after the Controller and Chief Auditor and the Officers of Parliament Committee unraveled wrongdoing and “collusion” in relation to number of projects under his watch. Papali’i, who is serving his third term in Parliament, had held the Minister of Finance portfolio also.